A day after Efren Peñaflorida’s CNN Hero of the Year Award, the whole country was instantly robbed of its moment of pride when news of a ruthless crime that took place in Maguindanao alarmed the entire nation. 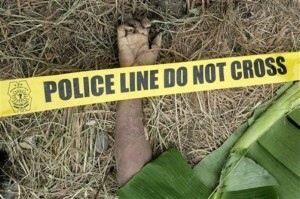 57 Dead in The Ampatuan (Maguindanao) Massacre. This interactive map and timeline follows the hurriedly, but obviously planned, execution of the massacre. Photos quickly spread all over the internet, showing the result of the gruesome crime. It breaks my heart (time so search for affordable health insurance?) every time I see the massacre photos. It irks me knowing that the underlying core to the brutality is nothing but the excessive Lust for Political Power. The suspected mastermind: The Ampatuan warlord clan, known to be favored and protected by none other than President GMA herself. Even more appalling is the evidence pointing persons from the government’s own military and police as direct perpetrators too. I bleed at the thought of the defenseless victims being tortured like animals to their deaths. It just sickens me how anyone is capable of committing such a horrendous and merciless act. Calling the perpetrators inhumane and barbaric isn’t even enough. Only the works of a monster can be associated to a crime like that! Violent killings are reported to be “a common thing” in Mindanao. Especially in association with politics. But the mere fact that murder in Mindanao is generalized and accepted as “a common thing” is wrong in itself. Why must we tolerate such acts and just accept that they are common? Doesn’t the Philippine law strictly condemn and enforce a strong hand against crimes, most especially heinous ones like these? Clearly, the government has failed (again and again!) in implementing the rule of law in maintaining peace, justice and order in Mindanao. I just hope this ordeal can serve as a wake up call for our government. May they put personal and political relationships aside and transparently investigate/prosecute every single person (even members of the security force too) responsible. Justice must be served!